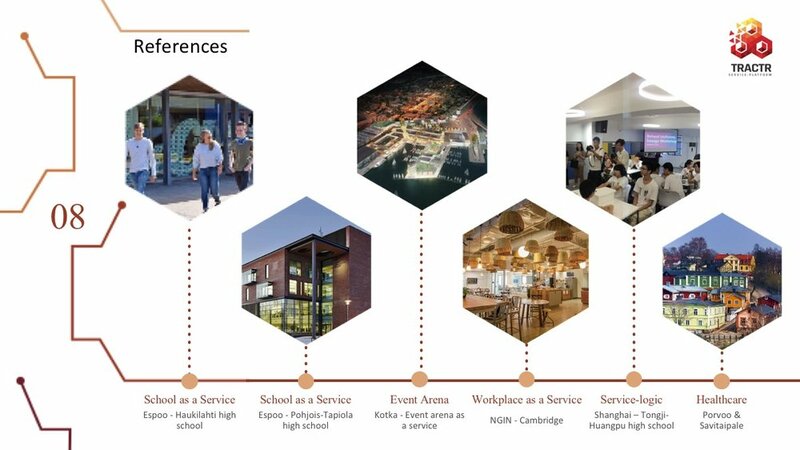 UTILIZATION RATE of the build environment in general is decreasing, usage patterns of environments for value creation (workplace), learning (schools), consumption (retail) and well-being (health care) are diversifying and fragmenting and usage rates are going down. Working environments for example are used less than 30% of working hours. 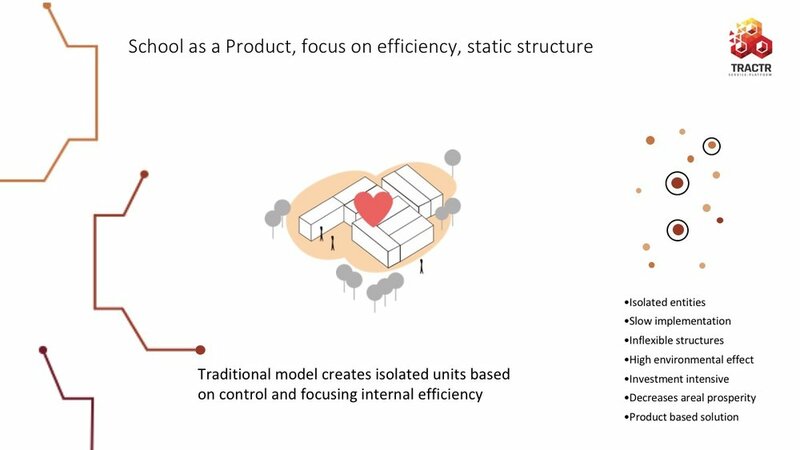 RESOURCE ALLOCATION in built environment however is following the traditional paradigm, allocating resources based on the idea of independency and control. This has created environments with independent isolated “islands” of complimentary resources. This paradigm will not contribute the communities around, rather than creating competing islands of resources itself. FOOTPRINT OF URBANIZATION in its current way is expanding, causing problems in infrastructures, mobility and service allocation. Current approach requires bigger footprint, more land geographically for cities to be bigger in size. This dilutes even more the value of existing resources, once they are replaced in function with new resources being built . 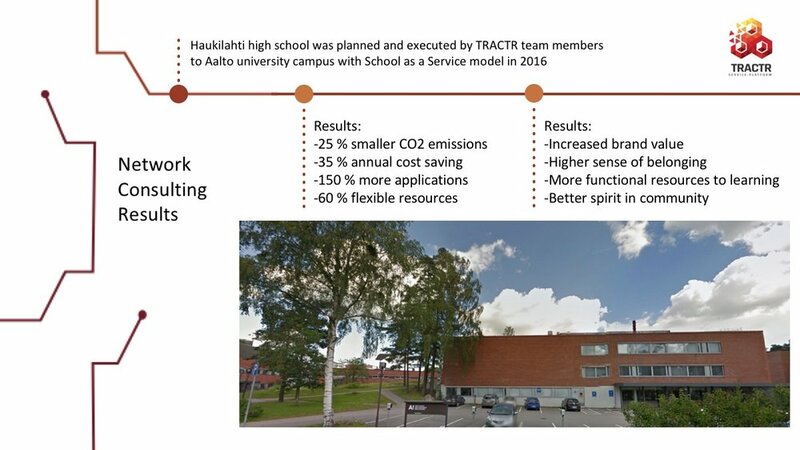 TRACTR refenrence from Product based stand alone solutions to service platforms increasing the sustainability of the solution, decreasing palnning risks and optimizing adaptability. TRACTR SOLUTION WILL INCREASE THE UTILIZATION RATE of the build environment, by developing new usage patterns for environments of institutional value creation (workplace), learning (schools), consumption (retail) and well-being (health care). This will cause the utilization rate of the built environment to rise, using more what we have. This is part of the Sustainable Smart Cities of the Future. 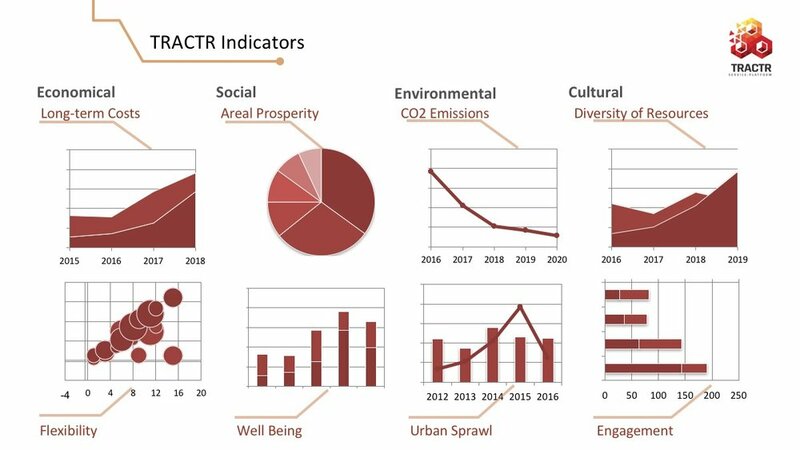 TRACTR SOLUTION WILL OPTIMIZE THE RESOURCE ALLOCATION in built environment by enabling more systemic solutions based on activities rather than physical resources. Enable environments which are accessible and open, optimizing effectivity and not only efficiency of internal resources. Create network of resources which are more adaptable to inevitably changes. This will increase the adaptability of the solutions. TRACTR SOLUTION WILL DECREASE THE FOOTPRINT OF URBANIZATION by using more what is there already, utilizing the resources of the environment. This will have an impact in many levels: increased efficiency of use and effectivity of the resources and decreased planning and investment risk though the nature of network, utilizing TRACTR service platform. TRACTR INICATORS will measure and anayze the effectivity of the network in build environment. It will help to develope new usage patterns for environments of institutional value creation (workplace), learning (schools), consumption (retail) and well-being (health care). This will cause the utilization rate of the built environment to rise, using more what we have.